The house at 1516 Wilson Avenue, built in roughly 1916, is thought to be the only architecture designed home within the East Campus Neighborhood Historical District nomination form for the National Register of Historic Places. Jamieson designed many of the buildings on the University of Missouri’s “White campus,” so named for the color of the stone used to build many of those building. Jamieson was involved in the design of Ellis Library, Memorial Union, Mumford Hall, the President’s House and the 1953 renovation of Jesse Hall, among others. While this home in particular has not been placed on the National Register, it is contained within the confines of the East Campus Neighborhood, which was placed on the Register in 1996. Yet, the house, in one way is not even on Wilson Avenue. 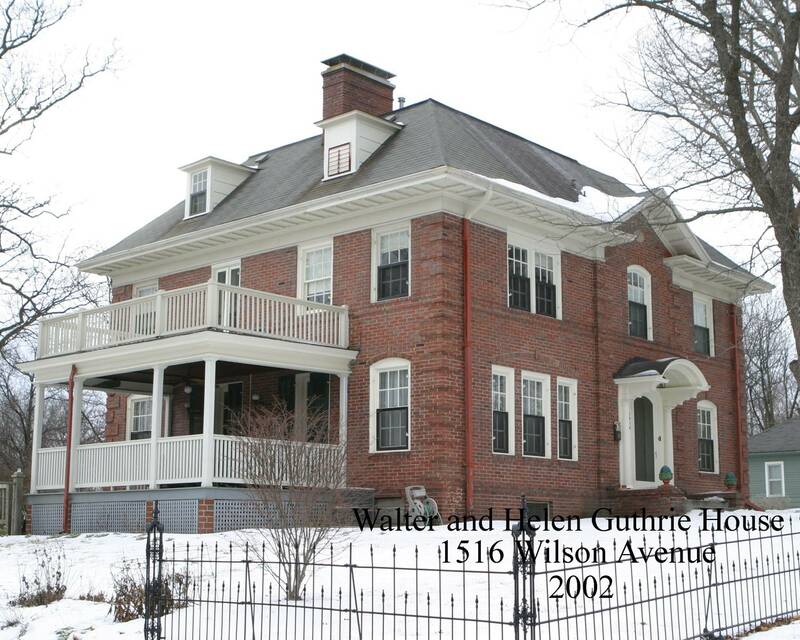 The East Campus Neighborhood nomination includes a detailed description of 1516 Wilson Avenue, ca. 1916; the Walter Miller house.